The number of abnormal test findings recorded by anti-doping authorities worldwide increased by more than 20% last year, according to a report by the World Anti-Doping Agency. There were 5,962 adverse or atypical test results across all sports, compared with 4,723 in 2012. The number of tests carried out rose by only 0.8% in the same period. 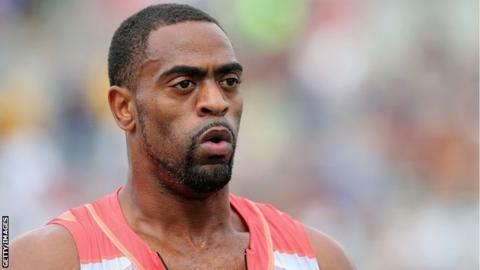 Sprinters Tyson Gay and Asafa Powell and tennis player Marin Cilic were among those to fail drug tests in 2013. Adverse findings are those that detect the presence of a prohibited substance. Atypical findings are those that necessitate further investigation by anti-doping authorities. Atypical findings may correspond to multiple analyses performed on the same athlete. The increase comes in a year in which sports such as football and tennis stepped up their use of the athlete biological passport programme, which allows authorities to collect and compare biological data and spot discrepancies over time that suggest possible doping. Other sports, such as cycling, have stiffened the 'whereabouts rule' that requires athletes to provide the authorities with regular information about their location and possible windows for testing. However, British 800m runner Jenny Meadows says drug-takers in sport are still getting away with it. "People are still taking drugs and always will," she said. "The margin of error between coming first and third is so tiny that people will always looks for ways to break that down. "You look at Tyson Gay and Justin Gatlin lining up last week in the 100m (both men have served bans from athletics after failing drugs tests). It makes you feel sick because they are still getting sponsorship and prize money. It's not fair on the rest of us. "I do think the sport is being cleaned up and these figures send out a message of 'we'll find you eventually' but unfortunately there are always sophisticated ways to cheat the system." The report also reveals which national anti-doping authorities test their athletes most frequently. Russia and China lead the way, each testing more than 10,000 samples in 2013. UK Anti-Doping, the body responsible for testing British athletes, analysed nearly 5,000 samples. By contrast, the Jamaican Anti-Doping Commission, which was strongly rebuked by Wada for its lax approach, conducted just 294 tests, fewer than Hong Kong. The national anti-doping body in Ukraine, two of whose athletes failed drug tests at the 2013 World Athletics Championships in Moscow, carried out just nine tests in 2013, according to Wada's report. Andy Parkinson, chief executive of UK Anti-Doping, says testing in Britain is getting more sophisticated, but that it remains a major challenge to make sure sport is drug-free. "The more sophisticated tests become, the more chance you will have of catching a cheat," said Parkinson. "But although the analytical side of anti-doping and the science is getting better, at the same time you've got the industry and black market trying to design drugs that bypass the testing. So analysis is improving but so are the illicit substances. "It is a big task to try and stay one step ahead, and also frustrating - but even more frustrating for the clean athletes." Football was responsible for more than 28,000 tests, more than any other sport. Of those, 140 adverse samples were recorded, a ratio of 0.5%. "Elite athletes are under a great deal of pressure and their entourage is under a great deal of pressure and, as in any walk of life, there will always be someone who crosses the line"
Cyclists were also subject to frequent testing, with more than 22,000 samples analysed in 2013 - 1.2% of those tests resulted in adverse findings. However, there were also widespread adverse findings in sports without the stigma of cycling. Rugby recorded a rate of 1.3% adverse results from just over 6,000 tests. Paralympic sport boccia had one of the highest rates of adverse results, with 11.1%, although that figure is skewed by the relatively small number of participants in the sport. Of non-Olympic disciplines, chess recorded three adverse findings, while bridge returned one. Parkinson added: "Elite athletes are under a great deal of pressure and their entourage is under a great deal of pressure and, as in any walk of life, there will always be someone who crosses the line. "Our approach to serious dopers is that we are very firm and try and get the biggest sanction we can." Sir Craig Reedie, the president of Wada, has previously warned that doping represents the biggest threat to Olympic sport. In November, Wada approved stricter punishments for athletes found guilty of doping, doubling bans to four years.